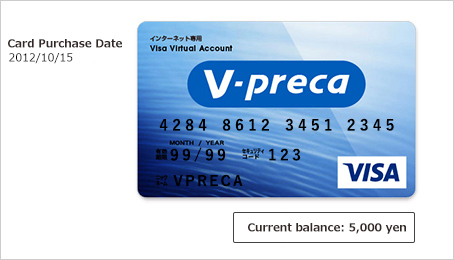 To use V-Preca, you need to Sign up for an account (free of charge). You can register any time 24/7, even simpler than a credit card. Check here about V-Preca Gift. Click the 'Sign up (Free)' button on the top right of the V-Preca home page. Register your regular email address. 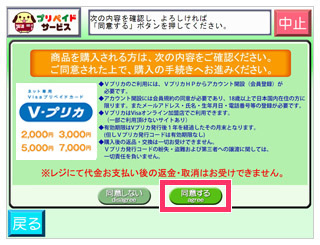 A confirmation email will be sent to your registered email address. Click on the link in the email to carry on to the main registration process. Fill in the required items such as your date of birth and phone number to carry out the main registration. 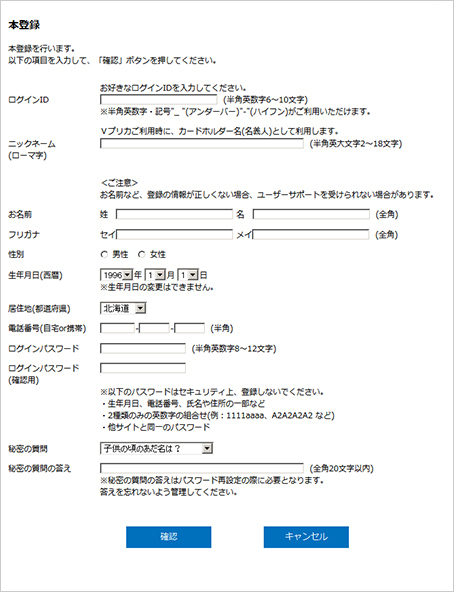 ※Please be sure to fill in all the items accurately. You can log into MyPage by clicking the “Log in”　button on V-Preca's website and entering the Login ID and password you have set. 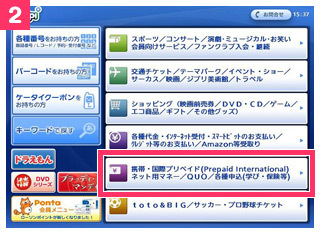 After applying from the member-only page (MyPage), you can pay by credit card, at convenience stores and through internet banking. 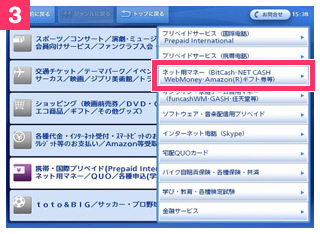 (SBI Sumishin Net Bank, The Japan Net Bank). Upon the completion of payment, V-Preca will be issued on MyPage and be ready to use right away. 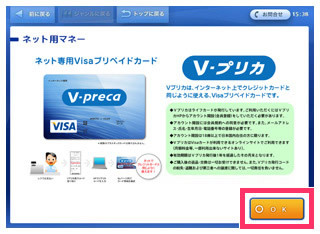 Log into MyPage and carry out the V-Preca purchase procedures. 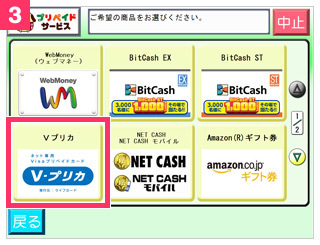 Choose the method of payment and proceed to 「次へ (Next)」. After finishing SMS Verification / Phone Verification, pay V-Preca's sale price. Details about SMS Verification / Phone Verification here. Payment at Convenience Store is temporarily suspended. 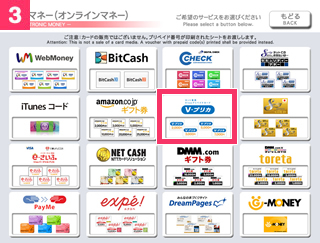 Upon the completion of payment, V-preca will be issued on MyPage. For details about how to use MyPage, please click on this link. Please check below for details about payment methods. Credit Card registration is required. For details about how to register, please read all relevant information here. 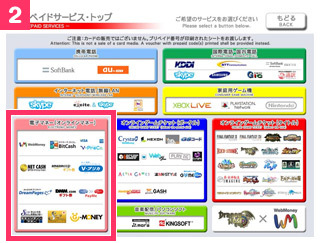 Payments can be made through the following financial institutions. V-Preca can be purchased at your nearest convenience store. By inputting the issue code you received on the member-only page (MyPage), your V-Preca will be issued and be ready to use right away. 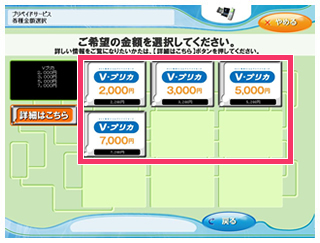 Use the convenience store terminal to select the V-Preca Purchase Card Type (amount). A purchase ticket will be issued. Take the purchase ticket to the cash register and make the payment. 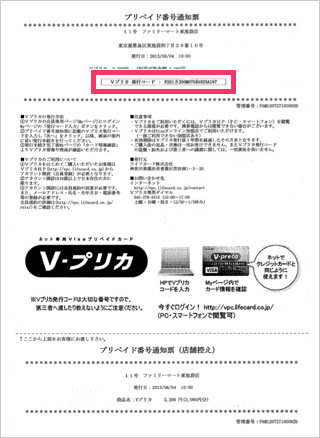 Receive the V-Preca issue code. Log into MyPage from V-Preca's home page. 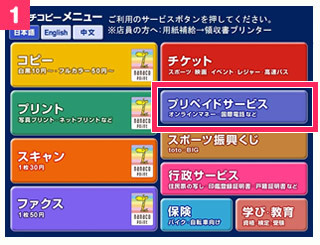 Go to 「コード入力 (Input Code)」and enter the issue code. 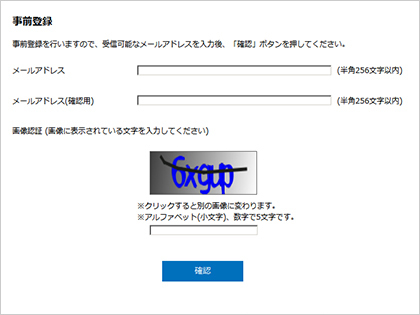 Proceed to 「次へ (Next)」 and the SMS Verification / Phone Verification will begin. As soon as the verification is completed, V-Preca will be issued. 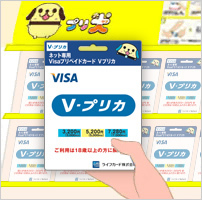 ※ At Daily Yamazaki and Seicomart, take the in-store V-Preca sample card to the cash register, and convey the purchase amount. 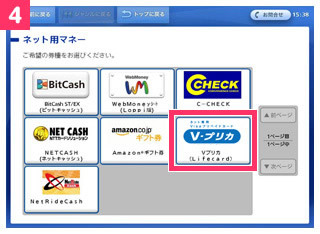 V-Preca can be purchased at the following convenience store chains. 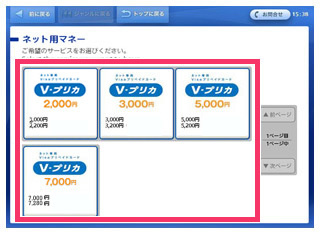 Click to check the detailed purchase method at each convenience store. Purchase is available at the 'Multicopy Machine'. Use the Multicopy Machine menus. Confirm the product contents, and touch 'OK'. Confirm the cautionary notes, and touch 'Agree'. Touch the card type (amount) you would like. 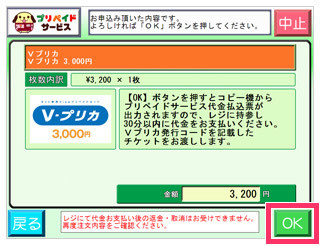 Confirm the number of cards and amount to purchase, and touch 'OK'. 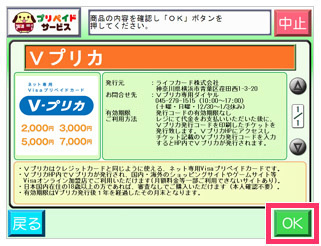 Confirm the application contents, and touch 'OK'. 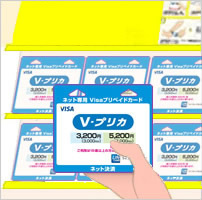 Take the 'Prepaid Services Cost Payment Slip' printed by the Multicopy Machine to the cash register, and pay the V-Preca purchase cost. 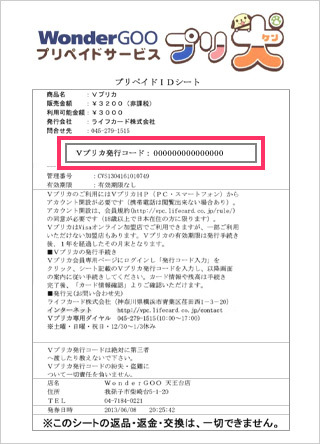 ※ The payment slip is valid for 30 minutes after being issued. Please make payment within 30 minutes of it being issued. 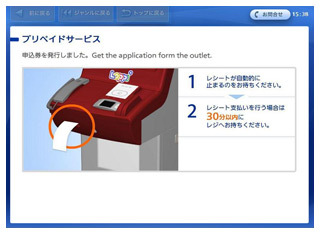 Receive the 'Service Ticket' at the cash register. 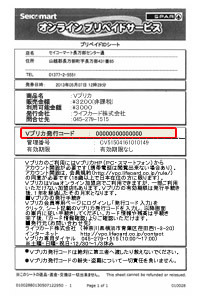 The 'V-Preca Issue Code' is noted on the ticket. Log in to MyPage on the V-Preca website. Upon inputting the code, V-Preca will be issued. Purchase is available at the 'Loppi'. 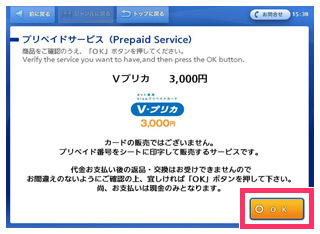 Confirm the service contents, and touch 'OK'. 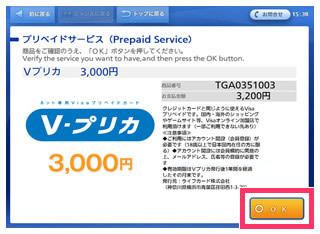 Confirm the card type (amount) to purchase, and touch 'OK'. 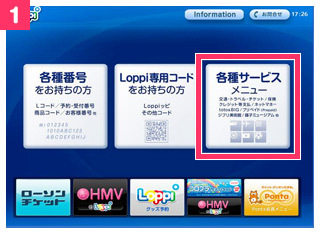 Take the 'Prepaid Services Application Card' printed by Loppi to the cash register, and pay the V-Preca purchase cost. 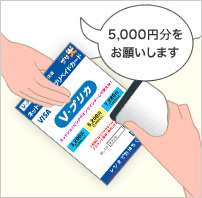 ※ The card is valid for 30 minutes after being issued.Please make payment within 30 minutes of it being issued. Receive the 'Prepaid Services Number Notification Sheet' at the cash register. 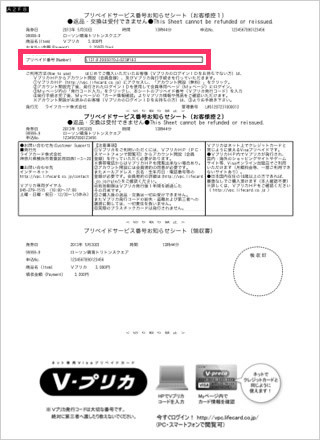 The 'V-Preca Issue Code' is noted on it. Purchase is available at the 'Famiport'. The Start Screen will be displayed. Confirm the cautionary notes, and touch 'OK'. 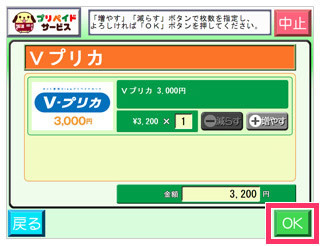 Confirm the card type (amount) to purchase, and touch 'Issue'. 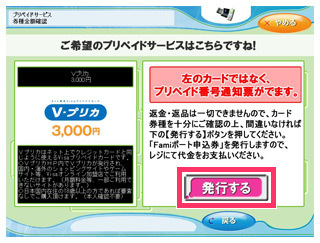 Take the 'Famiport Application Card' printed by Famiport to the cash register, and pay the V-Preca purchase cost. 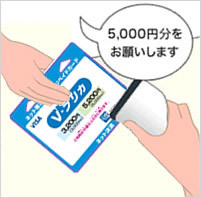 ※The card is valid for 30 minutes after being issued.Please make payment within 30 minutes of it being issued. 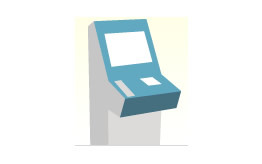 Receive the 'Prepaid Number Notification Slip' at the cash register. Take the 'Sample Card' to the cash register. 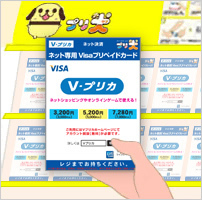 Take the in-store 'V-Preca' Sample Card to the cash register. 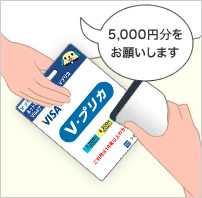 Convey the desired purchase amount (card type) to the store staff, and pay the V-Preca purchase cost. Receive the 'Receipt' at the cash register. 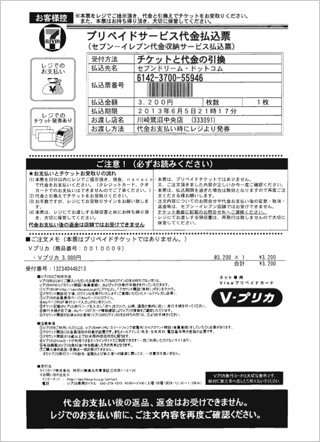 ※ Please look after the Receipt carefully until the V-Preca is issued. 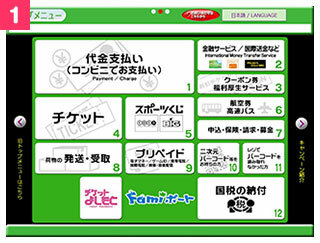 Receive the 'Prepaid ID Sheet' at the cash register. 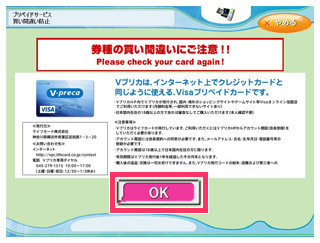 ※ Please look after the Prepaid ID Sheet carefully until the V-Preca is issued. 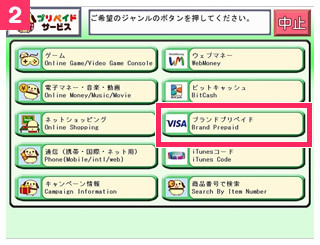 V-Preca can be purchased at the following stores. By paying V-Preca's sale price at one of these stores or websites and inputting the V-Preca issue code you received into the member-only page (MyPage), your V-Preca will be issued and be ready to use right away. 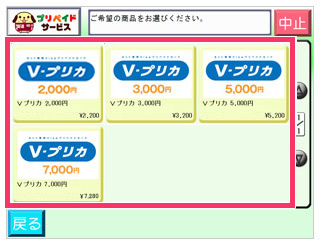 V-Preca can be purchased at WonderGOO stores (with some exceptions) with the special DVD case. 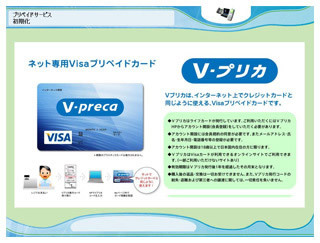 Take the in-store 'V-preca' DVD Case to the cash register.